Joy Hofmeister is the newly elected State Supt. She won in a state-wide election Nov 4th. We are always looking for lesser messiahs than The Messiah. A new President will fix it. Yeah, a new governor will make it right. If we can just elect a new attorney general, then…. But it seldom works that way. It’s been a very tough 4 years for education in Oklahoma. So we are looking for a messiah of sorts with the inauguration of Joy Hofmeister as the new Oklahoma Superintendent of Public Instruction. I expect her to be very good at it. But she will be no messiah. Recovery of the vandalized OKSDE will take much effort from many of us, not just her. Professional educators, many parents, and activists in Oklahoma can be forgiven for looking for the kingdom to come on Monday. That’s when a new slate of state-wide office holders will be inaugurated on the South steps of the crumbling Capitol Building in Oklahoma. Because so many others, along with me, have gone into detail about how bad the four-year term of Janet Barresi has been, I won’t do it here. The dentist-turned-education-reformer was swept into office in the 2010 elections where just about anyone with an “R” by their name on the ballot could get elected. Her regime has deliberately destroyed a previously strong State Department of Education with the design of turning over state education matters to profiteers in Florida and other states. Education in Oklahoma has suffered under her to an extent that hardly anyone could imagine after years of stable, capable leadership that had been elected before her. We can imagine it now, though. In case we were about to forget how destructive she can be, on her last day in office on Friday, she showed us once again what she is capable of by instituting big promotions, and even new hires that would cost around $700,000 more. Even the most hair-on-fire anti-education Republicans in the state were uniquely silent on that one. So here we are, hoping for something so much better. On Twitter and Facebook I have seen a lot of statements about how things will be great at the SDE once Joy Hofmeister is in there. I want to agree. The part that concerns me is that so many of those statements reveal thoughts that the whole work of repairing the OKSDE is done once the oath of office is taken. It’s not. And Barresi just reminded us of that on Friday. 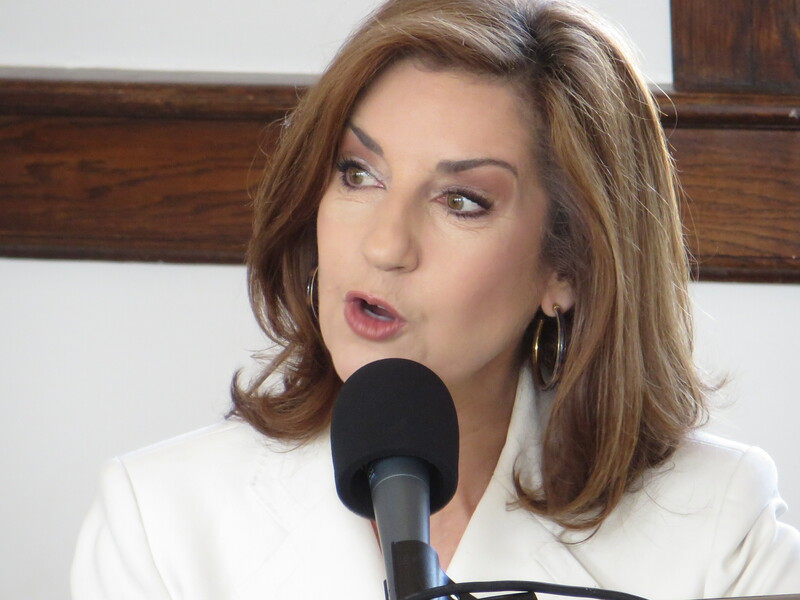 Those last-minute new hires and promotions were meant to make it as hard as possible for Hofmeister to institute the kinds of repairs that she was elected to accomplish. For Joy Hofmeister’s sake, and ours as well, we can ill afford to start believing that the kingdom will come for education in Oklahoma on Monday. As one comment on Facebook said, she still has to face the same Legislature, the same Governor, and the same Oklahoma Board of Education that supported Barresi all the way through these four years. So our biggest, hardest work is yet to come. As I said in an earlier post, Hofmeister will need us to defend her position to keep it from being compromised by the forces that wanted to see Barresi stay in place. Even though Hofmeister is a Republican, they will not forgive her for defeating Barresi in the Republican primary. Pay special attention to the news reports or lack of them by Oklahoma City’s big media paper, The Oklahoman. I won’t pay much attention to the opinion pages. It’s their paper. But running intentionally twisted news reports that promote a particular political distortion is unacceptable, as I pointed out in an earlier post. Demand that your legislator and senator support the elected superintendent. Fiercely oppose any Indiana-style stunt of taking power away from the office and the SDE. Stay informed about new developments at the SDE through social media and through news reports across the state. The kingdom won’t come in education for Oklahoma on Monday. But Joy Hofmeister deserves a fair opportunity to lead at the SDE. And we can insure that she has it.